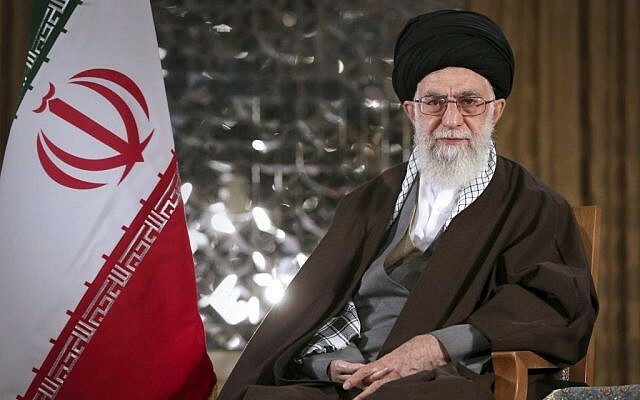 Iran’s Supreme Leader Ali Khamenei on Wednesday blamed the US, UK and Israel for the series of Islamist terrorist bombings that have taken place during the month of Ramadan. “Unfortunately, this year’s Eid al-Fitr (the fast-breaking festivities of Muslims at the end of the holy month of Ramadan) in some countries was turned into mourning by those terrorists who want to replace the real Islam with fake Islam at the order of their leaders; and these crimes are the outcome of nurturing terrorists by the security services of the US, the UK and the Zionist regime,” Khamenei said. He was referring to attacks including Sunday’s suicide bombing in Baghdad claimed by the Islamic State group, in which more than 250 people were killed, making it one of the deadliest ever terrorist attacks in Iraq. That attack was only the most recent in a series of attacks throughout the world which bore the hallmarks of the IS group. These attacks highlighted the reach of the jihadists beyond Iraq and Syria, where a US-led coalition is attempting to eradicate the group. Khamenei claimed the attacks were hatched to deflect attention from the plight of the Palestinians. He “reiterated that the main objective of the arrogant powers, from waging war and insecurity as well as terrorism in the region, is making people forget the issues of Palestine,” according to a report on the semi-state Fars news agency. Iran is unique in the Muslim world as the only country which has a majority of Shiite Muslims. The IS terror organization is a Sunni group. Iran supports many Shiite terrorist groups, including Hezbollah, Hamas and Islamic Jihad. It has been alleged that Iran has also offered support to Sunni groups. The US Treasury Department has reported that Iran has been allowing al-Qaeda to channel money and operatives throughout the country.